Lesson completed. I also think it would be fun to set up the numbers beginning with ten and ending with one and watch the leaves "fall" one by one. ...so that the children may order them and "hang them on the line." I simply tacked up a ribbon across a low window in our classroom. This should be a lot of fun for the kids, even if it simply to hang them up out of order! Autumn Math Game: Leaf stickers for the game board with acorns for game pieces. There are 16 acorns in each decorative pouch - I thought the pouches would provide a great opportunity to practice "opening and closing..."
Really nice activities!! I especially like the clothespin work. Thank you for sharing. Great activities. I've been wanting to do a number ordering activity like yours for a while...I cannot find small clothespins for the life of me! Thank you for sharing. I love the number sequencing on the leaves. Such a fun way to make something classic an interest point for the season. Thank you for all of your kind comments! 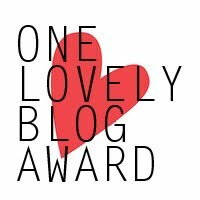 I love to be able to share ideas and so welcome your feedback. The children in your school are SO LUCKY, Sasha! You always have such wonderful seasonal activities! 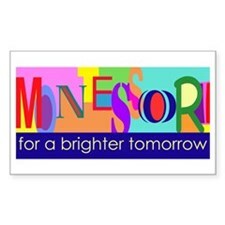 Thanks so much for linking up with Montessori Monday. 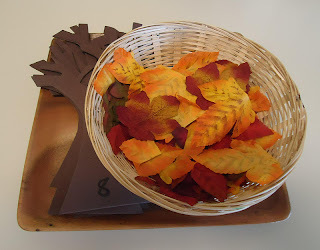 I just added your autumn trees 1-10 photo to http://livingmontessorinow.com/2011/09/29/montessori-inspired-autumn-leaf-unit/ and your acorn math game photo to http://livingmontessorinow.com/2011/10/24/montessori-monday-montessori-inspired-squirrel-and-nut-activities/! Deb, Thank you for your thoughtful comment - it means so much to me that you have thought of the children in my school and of course, I am honored that you think they are so lucky...! :) I do try my hardest to make sure they have the most authentic Montessori experience I can offer! Thank you so much for adding my photos to your posts! 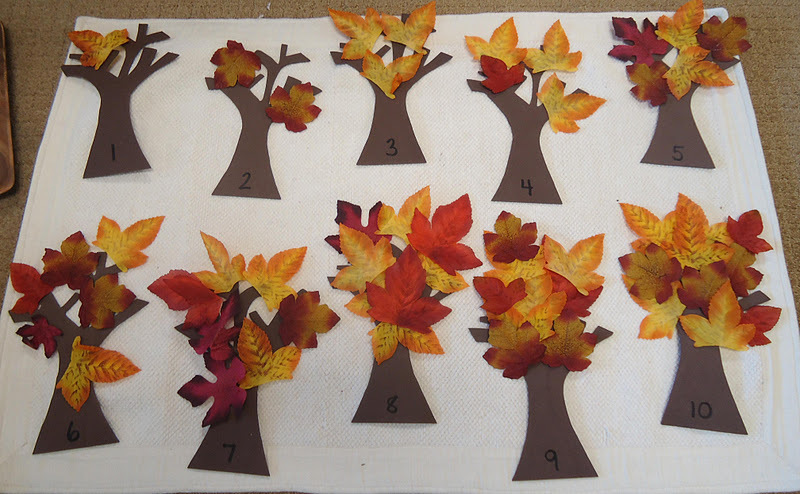 Very nice autumn math tree! I have a very cute clothespin work in my classroom. The clothespins have felt leaves on them and they attach the pins to the rim of a small metal bucket. My problem is that the clothespins keep coming apart. Any suggestions for keeping the clothespins together? "The Seasons Come and Go"